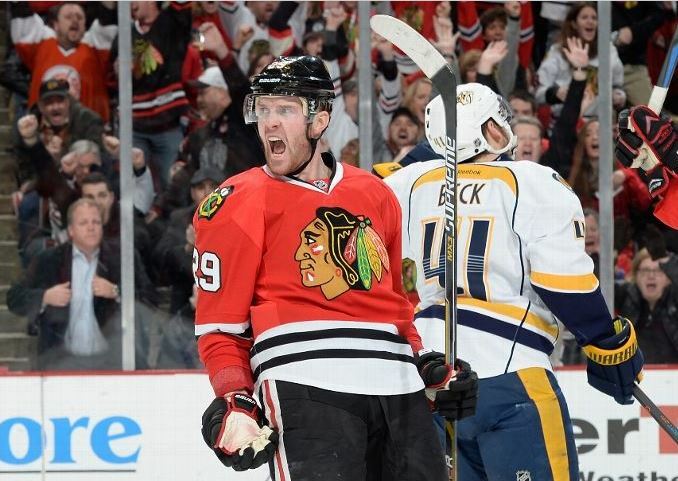 The first round of the 2015 Stanley Cup Playoffs will begin with the Chicago Blackhawks in Nashville on Wednesday night. Let’s look ahead at what we might expect (hint: who knows?). Somewhat surprisingly, the Blackhawks best player at the dot against the Preds this year was Andrew Shaw, who won 59.5 percent of his faceoffs. Marcus Kruger won 58.3 percent of his draws, while Jonathan Toews only won 46 percent of his opportunities at the dot. But it’s hard to use these numbers for a series beginning in mid-April. Patrick Kane is injured, and there are other players being used differently than they were four days after Christmas. As a team, the Blackhawks offense ranks only 26th in the league, scoring a mediocre 2.24 goals per game since the All-Star break. The Preds rank 18th offensively, scoring 2.56 per night. Defensively, however, Nashville hasn’t been as good since the break. The Preds have allowed 2.69 goals per night, which also ranks 28th in the league. Chicago, on the other hand, has allowed only 2.24 per game (as many as they’ve scored). The Blackhawks rank third in the NHL in goals allowed per game since the break. Surprisingly, the Preds have a very average .903 save percentage as a team since the break, while the Hawks have received stellar play between the pipes; Corey Crawford and Scott Darling have combined for a .928 save percentage since the break. Pekka Rinne and Crawford have each appeared in 27 games since the All-Star break, and they both have one shutout. However, Crawford’s .927 save percentage against 30.1 shots per game is much better than Rinne’s .911 against only 27.9 shots per game. Indeed, Crawford has only one fewer save (753) than Rinne has faced total shots (754) since the break. For Nashville, star rookie Filip Forsberg slowed down considerably after the All-Star break. Forsberg lit up the league with 40 points (15 goals, 25 assists) and a plus-24 mark in his first his first 45 games, but has only 22 points (10 goals, 12 assists) and is minus-10 since the break. For Chicago, Patrick Kane is now questionable – not doubtful – for the first round. Teuvo Teravainen didn’t make his season debut until January; he didn’t play against the Predators at all this season. Antoine Vermette had one goal and one assist (both on the power play) but was minus-three in two games against the Preds while a member of the Coyotes this season. He also won 58.3 percent of his faceoffs against Nashville, but led Arizona with six penalty minutes on those contests. Of course Vermette is now with the Blackhawks, but his role is evolving over the last two weeks. Nashville hasn’t seen a Blackhawks lineup with Kane, Teravainen, Vermette, Andrew Desjardins and Kimmo Timonen. That being said, Chicago hasn’t seen Kane in the lineup with Vermette, Desjardins or Timonen, either. If/When Kane returns to the Blackhawks lineup is a game-changer for the series. 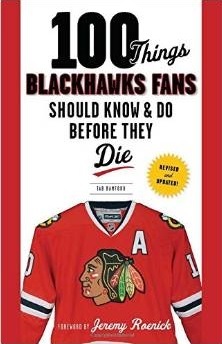 If the Preds spend as much time on strategy for the Blackhawks on the ice as they have for Chicago’s fans, they’ll be good on the white board. But what they look like on the ice is another matter. You’ve got to like this draw. Playing against a team that has been out of the playoffs for two seasons, while St. Louis and Minnesota get to absolutely murder each other in the first round. I don’t have a doctorate in mathematics so the NHL’s seeding and reseeding scenarios are a little foggy to me, but you just know Calgary or Winnipeg are going to make it out of this round too, either of those teams would be inviting in a later round also, even though the Jets gave the Hawks a lot of trouble this year. If Kane is available for game 1 which is what the rumors are reporting I like the Hawks in 5 games otherwise I’m with Tabs pick of 6 games. Kane was full participation this morning skating with Richards and Steeger on the 2nd line. Any way you slice it the Hawks will be skating 4 solid lines. As for the Preds, the have one solid line with Ribero, Neal and Forsburg. After that it gets real thin, Colin Wilson and a few younger guys in their top 6. They need early Pekka Rinne if they are going to win this series. @ Nick look at the bracket like 2 four team tournaments for the West conference final. They no longer reseed. Many people like Winnipeg I do not, I think the Ducks have the easiest path to the cup because they avoid the 4 best teams in the West until the west final. My prediction for this years final is what last years final should have been, except for an unfortunate overtime bounce off an indianhead sweater. This year, Hawks vs Rangers…Hawks in a historic 7 game series! Reports from practice today had Vermette and Desjardins both skating outside the top 4 lines. I don’t think anyone would have predicted the epic flop that guy has been. Nice to see 88 back close to full speed. Somehow Slowszival is still in the bottom defensive pairing. Amazing that none of the other defensemen could force him out. Makes me a little concerned about the D corps next year. 2, 4 and 7 may start aging in dog years. Should be an interesting matchup with both teams limping into playoffs. It has a feeling of one team snapping out of it and the other just continuing on the death march to the offseason. Let’s hope the hawks are the former and not the latter. I was somewhat surprised the Blues didn’t lay down against the Wild to avoid probably the hottest team in hockey over the second half of the season. I’d say the status of Kane playing should be raised from questionable to probable. The team doctor officially declared him fit to play this afternoon, so if he isn’t in the lineup for Game#1, he’ll certainly be back by Game#2. How much time will it take him to knock off the rust of not playing for one and a half months is the question. But what a great thing it is to know Superman will be in the lineup soon. We’ll need him. I’m optimistically picking the Hawks in 6 games. Montana, just do not try to post fashion show quotes from hockey movies. Thank you Tab for all the good work dedication and effort. In some ways I think Kane should wait until game 3. If the Hawks come out of Nashville with one win, they will be in good shape. I think it is important to Kane’s health that in his first games back that Q controls the matchups. I truly believe that most NHL players are NOT headhunters, but they will bring physicality to those off of IR. When the Vermette deal was made I had reservations about anointing him the 2nd line center. 3c is his position. By having Vermette on the 3rd line, you can move Shaw to wing. Thought I heard Versteeg was skating with Richards and Kane. I know that line caught fire in a bottle for a few weeks, but that was months ago. Assuming Saad is on the first line, what do they do with the bottom 6? Vermette 3c, Kruger 4c. That leaves 4 spots for Shaw, Sharp, Bickell, Desjardins, Nordstrom, Teravainen, Carcillo. I think Shaw, Sharp and Bickell are locks. I really like what Desjardins brings, especially in the playoffs. The Teuvo, Kruger, Desjardins line had been one of the better lines. And if/when Versteeg faulters, you could slide Teuvo up to wing on the second line. Nashville is going to get clobbered tomorrow night. The Hawks are going to come out guns blazing and they won’t know what hit them. Its going to be glorious. I do agree with Mike on Kane. I think we can sit him in G1 for sure. See if we cant get a win without him. Then if we lose, you can think about bringing him out in game 2. But if you win, you can delay his comeback until sunday (G3) where he gets another 5 days to let everything strengthen, and you can pick your matchups with last change. And if you do win G1 and G2 in Nshville maybe they just keep him out until game 4 so he can get one game under his belt before the 2nd round. I would play my cards carefully here… like a baseball manager organizing a pitching rotation in the playoffs. use Kane as a wildcard. Nashville has to prep for him… that doesnt mean we need to rush him back if he isnt ready. That said… if he’s 100% let him loose! The wildcard of the series to me… On UC ice, Weber is going to HAVE to skate 30+ for the Preds to have a good shot. He will need to be out there for every 19 Line shift, and probably 2 out of every 3 defensive zone draws no matter what. He should be gassed by the end of game 4 if they do that though, so it will be interesting to see. and that should also mean room for that 29/80/10 line. if they can come up big, it will be great for sure. With 88 in, To think 2 of 11/42/65/23/86 will be stratched is an interesting thing… but with only 3 spots probably open, thats what will happen. I mean 42 is probably easy to sit… but 65 and 11 are gritty, you dont want to take that out in the playoffs. and then do you sit 23 or 86? Gotta think Q plays Steeger after playing him all year, but how do you take TT out when he has been good with 16 on that bottom line. should be interesting… My guess… 23 end up with 91/88… while 11 plays in Nashville, 86 plays in Chicago with 65/16 locked in to the bottom line for the playoffs. Play Kane, put the foot on the gas and get through the series as quickly as possible. Giving away games in the playoffs by sitting your star player is pretty arrogant and downright silly. The faster they can win 4 the better and Patrick Kane on the ice is better than Patrick Kane in the press box. Even if he isn’t completely up to speed. It may take Kane a game or two to shake off the rust so get him out there in game one. That way by game 3 he should be rolling again. 86 will be a fixture on the 4rth line in the playoffs unless lines 2/3 are not producing. Then we may see 86 moved up. Looks to me like 42/11/80 will be fighting for the last spot. I think Q likes how defensively responsible 86 has been. I also think he is more confident with 42 killing penalties than 11. 42 may be the fastest skater on the team. 42 -can’t score… but is quick/perhaps best forechecker..
sadly- I like TT/11 together… BUT – I think one of them sits! Think back to the options for the forwards last year at this time. Some were clamoring for Regan and Morin and ? There is no reason the Hawks can’t roll four lines this year. Many options available to Q based on match-up need. D corps . . . Coach Q skated essentially five with Leddy getting minimal ice time. Corey 2015 playoffs will hopefully be as good or better than last year. Drop the puck! Is Kaner ready? That is the big question. If not, will he just get more hurt? Is not playing him in game 1 just arrogant? Oh the pressure, what will you do Q? Bowman? Play Kaner on the power play and any 4 on 4 situations! Can’t wait! GO HAWKS! WOO HOO! The key to the series, IMO, is the 4th line getting 10-12 effective even strength minutes a game. They don’t have to be dominant, but I believe TT-Krugs-11 to be very good, but the rest of the team responds well when the 4th line plays well. So by that definition he is ready. Probably more ready than he was last season as I believe that was due to a leg injury fwiw. Basically, Kane will be ready, he will be out for blood and the predators are going to drown in a sea of red. Rumor has it Vermette will be a scratch. Wow-a healthy scratch in game 1 and a first round pick given up-that would be ballsy. Caphit or draft picks means nothing when it comes to playing time/quality min. We had 52 in the first 2 games in 2013 and then 25 played the rest of series. I see it at the same as that. Kaner, operation dinner out is a go. Hawks in 6, Hawks should have no problem with the Pred’s on paper or on ice. Pred’s love a pure defensive game by design but lack the explosive and transitional scoring that the Blues or Ducks have or for that matter the Jets too. Wild also fits into this category of a pure defensive play that in a 7 game set puts wayyyyyy to much pressure on the goal tending. This Hawks team on paper and on ice is as good in many ways as teams past even the two year cup. Pred’s Defensemen also have wayyyyyy to much pressure to score and keep the game close. This plays into the Hawks strength which to me is patience. If Kane can stay on the ice and not have WEBBER break him in two, which might happen, Hawks have the luck of the draw. WEBBER will be on the ice for like 30 minutes a game, he is a horse as will Keith but maybe 25 minutes. WEBBER has wayyyyyy to much pressure on him. Hawks spread that pressure around and win or lose as a team. After this series ALL BETS ARE OFF and anyone including the Canucks can win a 7 game series vs. Hawks. CROW will have to be BIG as he’s been and playing great so no reason for him to fold. We need Vermette at the DOT, he’s a top 10 faceoff and he wins them clean, so he is generating offense off the win, not a “free for all” scrum like most of our center ice play. I would be shocked if Hawks lose, not now, but for some odd reason as I watch late night Canucks games, the Canucks seem like the dark horse if they Keep Eddie Lack in the net! I hate them but something tells me they love the position they’re in. If we want to spend time with analysis on a series the JETS vs. DUCKS is a master class. This will be one hell of a series and chess match plus a very physical battle! Blues will goaltending is horrible ( stats or no stats ) so that gives WILD a wildcard finish, maybe. I see Hawks playing well but not scoring much but playing under control and if the POWER PLAY can produce something the series is in the bag. So the only analysis of importance is not Kane or 5 or 6 defensemen it is simply the power play. Sitting Vermette as a healthy Scratch is pure genius, I hope Hawks have balls enough to sit him, But just for one game only! This will send a message to him and he’ll get it, his play has been weak at best. He is too good to play sooo soft we got plenty of soft in the corners. He WILL Respond and we will all see in game two a guy who look more like a Patrice Bergeron! I wish him well and he has been waiting to get to this type of game, his physical play is not there and as i said before when you play on a line with Shane Done you sort of let Done do the WORK and you clean up the rest so Vermette is not used to playing too hard in the corners or chasing pucks BUT ALL HAWKS DO THAT it’s just what they do! Let’s not compare Antoine Vermette to Patrice Bergeron. It was a joke . . . yikes! But Vermette is barley Ben Smith right now but he can play it’s the Shane Doan comment that is not the joke. who is on the line is everything. Vermette has not had to work too hard to find his shot, Hawks need a guy to WIN FACE OFFS Bergeron is the best and Datsyyyyy too we need big faceoff wins in the playoffs late in the game. Apologies. Sarcasm eludes me via the written word. The points you made is why Desjardins is invaluable come playoff time. Can play center or wing. Can play the pk. Will hit. Will fight if needed. If he’s cheap in the off season, I wouldn’t mind him coming back. Brings more to the table all around than Carcillo. This series is immensely difficult for me to predict, even with Kane coming back. The Hawks have to get going in the scoring department and PP. Quenneville is going to have to open things up and pray like hell Crawford can stand on his head with lesser support. It comes down to Crawford, Keith, Seabrook and Hjalmarsson. And for the Preds it really comes down to Rinne and Weber. Rinne is, in my strong opinion, a dominant elite goalie. But this season has been a weird one for him. So which Rinne shows up? My head says Chicago in a grueling 7 game series. Swig tonight boys. Look for the tall goofy bearded guy, the guy in the Clark Kent glasses, and the man in the Shaw shirsey (I’m guessing Phil). Yes JS, Shaw shirt will appear tonight at Swig Chicago 1469 N Milwaukee to round out the three stooges. Local area guys come on over. Strength in numbers. ← Report: Patrick Kane Ready For Round One?